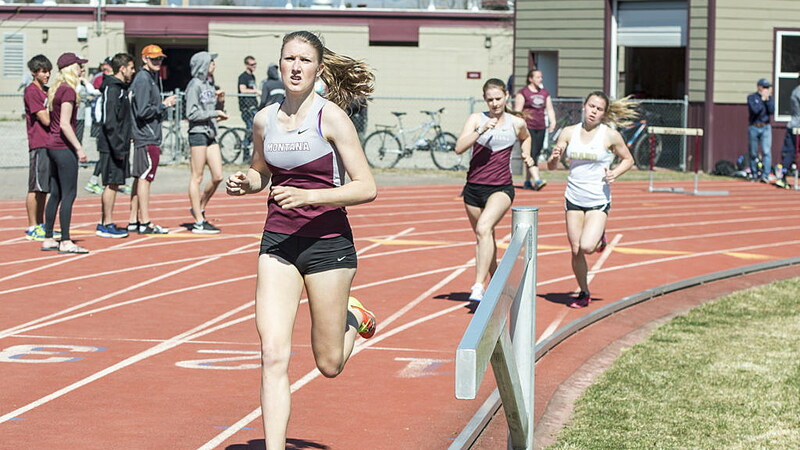 The Montana track and field teams will open their outdoor season this week when the Grizzlies host the Al Manuel Northwest Dual on Friday and Saturday at Dornblaser Field in Missoula. The all-Division I meet, which includes athletes from Montana, Montana State, Eastern Washington and Idaho, opens on Friday at 3 p.m. with the women’s hammer throw, followed by the men’s hammer. The rest of the meet takes place on Saturday, with field events starting at 10 a.m. with the women’s javelin, running events at noon with the women’s steeplechase. It marks the second year for the Al Manuel as an all-Division I meet, which means smaller fields than years past but better quality. “For an early meet like this, it’s nice to have those other three Division I schools from the Northwest come here and compete,” said coach Brian Schweyen. “It’s a meet that moves smoothly and quickly, and has high-level competition. The Al Manuel Northwest Dual marks the first of three home meets for Montana, which will host the Griz-Cat Dual on Saturday, April 22, and the Montana Open the following week. The Big Sky championships will be held the second week of May in Sacramento, Calif. The NCAA West Regional will be in Austin, Texas, in late May, the NCAA Championships in Eugene, Ore., in early June. “I don’t really prefer one over the other when it comes to indoor versus outdoor, but in the eyes of the NCAA and the nation, there is certainly more emphasis on the outdoor season,” said Schweyen. On the men’s side at this week’s meet, Montana State, which finished third at the Big Sky Conference indoor championships, was picked third in the outdoor preseason poll. Montana was picked fifth, Idaho eighth and Eastern Washington ninth. The Griz men tied for sixth at the indoor championships last month. They had a strong outdoor championships last May in Greeley, Colo., finishing second. Montana will be without last year’s Big Sky javelin champion, with Jensen Lillquist redshirting. Also redshirting this season is Nick Jackson, who placed fifth in the hammer at last spring’s outdoor meet. Montana still has a strong group of throwers, including Daniel Jones, who made regionals last year in the javelin, and freshman Kyle Morris, who finished sixth in the shot put at last month’s Big Sky indoor championships in Pocatello, Idaho. The Grizzlies also welcome back Dominique Bobo, who redshirted the most recent outdoor and indoor seasons. At the 2015 outdoor championships, Bobo finished second in the 200 meters, ran a leg of Montana’s third-place teams in the 4×100 and 4×400 relays, and placed fourth in the long jump and sixth in the 100 meters. The men’s team will have a strong presence on the track this year. Joining Bobo will be Sterling Reneau, a regional qualifier last spring and the Big Sky champion in the 400 meters at the indoor championships. Callum Macnab, second in the 200 meters and fourth in the 60-meter hurdles, is coming off a breakout meet at the indoor championships. He’ll join Dylan Reynolds to give Montana two of the Big Sky’s best in the 400-meter hurdles. Alex Mustard advanced to regionals last spring in the 200 meters, as did Matt Quist, who redshirted the indoor season, in the high jump. Schweyen expects his men’s team to be much stronger during the outdoor season than indoor, partly because of getting redshirts back, partly because of the addition of events in which Montana has top-of-the-Big-Sky athletes. The Montana women’s team entered last month’s indoor championships with dreams of bringing a trophy back to Missoula. Instead the Grizzlies came up a few points short, falling to Northern Arizona. Those teams were picked first and second in the preseason outdoor poll, with the Lumberjacks picking up eight first-place votes, the Grizzlies the other four. Sacramento State, which will be competing on its home track, was picked third. “I was very confident going into the indoor championships that we were going to come away with a championship,” said Schweyen, whose team lost to NAU 114-102. No other team scored more than 72.5 points. Erika McLeod won the pentathlon at the indoor championships and earned Outstanding Performer honors. Sammy Evans won the triple jump for her fifth Big Sky title and added a runner-up finish in the long jump. Montana also finished second in the 4×400-meter and distance medley relays, with Nicole Stroot finishing second behind McLeod in the pentathlon and Emily Cheroske placing second in the 800 meters. In all, 15 athletes helped Montana score its 102 points at the indoor championships. “We just have to continue doing our job of getting these kids as competitive and as hungry as possible,” said Schweyen. “I don’t want them to feel pressure. Instead I want them to be excited to compete. I sensed that pressure indoor, and that’s a tough hurdle to get over. Evans made regionals last year in both the long and triple jumps, with Stroot advancing in the long jump. Hana Feilzer, the Montana record holder in the hammer throw, finished second in that event at the Big Sky championships last spring and made regionals. Kayla Holmes, as a freshman, won the Big Sky discus title last spring and also advanced to regionals. Montana failed to advance any athletes to nationals last year, though Lillquist, in the javelin, Evans, in the triple jump, and McLeod, in the heptathlon, all came up just two places short. “Hopefully Sammy can get there and Erika can get there, and we can look at athletes in other areas too,” said Schweyen. Montana will compete at Eastern Washington next week, then a partial team will travel to California in mid-April for the Mt. SAC Relays and Bryan Clay Invitational. The Grizzlies will close out April with their other two home meets. The Tom Gage Classic will be hosted by Montana State on Friday, May 5, as a lead-up to the Big Sky championships at Sacramento State.